Day 1: January 1, 2017 Starting off strong with this whole trying stuff stuff by trying oil pulling first thing after waking up January 1st. I used coconut oil, as I don’t mind the flavor, it has many healthy properties and I already owned a jar of it. Texture is unpleasant until it melts, like putting plastic in your mouth. After a few minutes of standing around swooshing, I was quick to learn that this is going to be a multitasking-type of activity and decided to pass the time by getting my coffee brewed and cleaning my house. Way easier to swoosh oil in your mouth for 20 minutes (the recommended time) when you aren’t staring at the clock. Spitting it out (in a garbage, never in a sink) was awkward and gross, but after brushing, my mouth did feel notably cleaner for longer throughout the day than normal. Day 2: January 2 Skipped oil pulling this morning. While my teeth felt clean after brushing, I was disappointed to find they did not feel as clean as they did the previous day. Good to have the comparison. Day 3: January 3 First day I was back at work after the holiday, and I found it difficult to get up early enough to oil pull prior to going to work. Cuting into my coffee drinking time (major bummer) but my mouth did feel super clean and awesome again. Must wake up earlier to incorporate this into my morning routine. Day 4: January 4 Moved the coconut oil from the kitchen to the bedroom the night before, found it way easier to oil pull in the morning as I hardly had to get out of bed when my alarm went off to grab the oil and was able to swoosh while reading emails…. and browsing Tumblr. Once again, my teeth felt awesome. And is that little bit of acne on my face clearing up because of the oil pulling? Day 5: January 5 Finally woke up with enough time to fit this into my morning schedule hassle free and get ready for work at a relaxed pace (for anyone who doesn’t know me, my morning routine when I have to be in an office is to over sleep, rush to get ready and practice my sprint running exercises by sprinting to the bus stop). The cleaner mouth feeling is pleasantly constant. Getting use to the texture of the coconut oil, still super ungraceful while trying to spit it out. Day 6: January 6 Overslept (at this point it’s tradition) and found fitting oil pulling into my getting ready process to be a pain today. I’m starting to question the practice in my annoyed state. Does it really take 20 minutes to pull toxins out of my mouth? If I oil pull constantly shouldn’t my mouth have less toxins in need of “pulling”? Where are these toxins coming from in the first place? If I swoosh vodka in my mouth, would that kill toxins? I will say, by midday and after an insane amount of coffee, my mouth still felt really fresh and clean and I was less annoyed about the whole oil pulling thing. Day 7: January 7 One week finished! 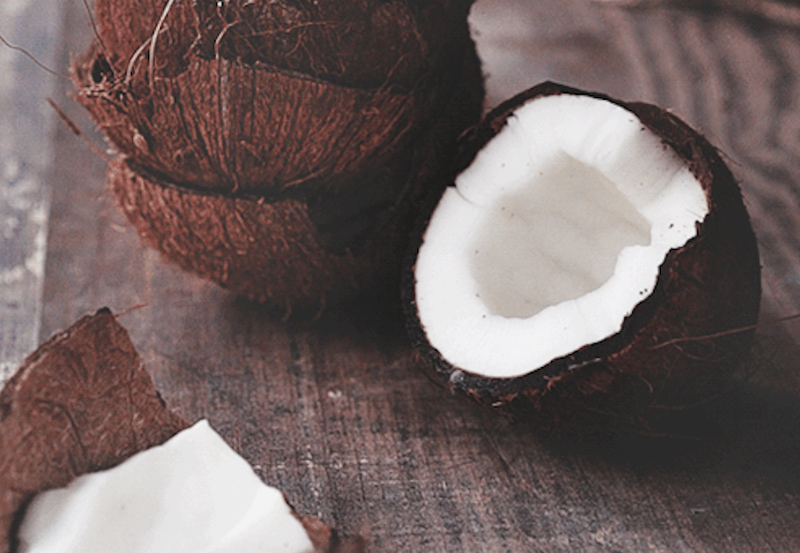 Being a Saturday, I found other logistically oil pulling issues I hadn’t encountered yet. How do I sneak out of my room and find the time to swoosh coconut oil in my mouth and brush my teeth without the boy in my bed noticing? Also, Friday was a heavier night of drinking than I had in a while and I heard that oil pulling can help prevent hangovers and headaches. Time to test it. I oil pulled for about half the time while brewing coffee. My teeth still felt clean despite the shorter swooshing time. I was disappointed that oil pulling did not magically prevent me from having a headache, although I did not end up full-on-lay-on-the-couch-with-a-blanket-over-your-head-moaning-whishing-you-would-hurry-up-and-die-hungover and was a functional human all of (most of?) Saturday. No way to know if the oil pulling helped with that. My take after a week? I do still find the time commitment a pain. I wish the “ideal” swooshing time was closer to 5-10 minutes instead of 20, but after only seven days, I found it not too hard to incorporate into my schedule and am even getting better at the whole spitting it out processes without looking uncouth. I did personally feel like mouth was cleaner; however, I did not bother to have a dentist professionally assess my mouth prior to or after oil pulling, so I’m not sure how much cleaner it actually is. I like the way my mouth feels the rest of the day though, and that’s worth something. I’ve decided to actually assess any of the other claims (whiter teeth, less acne / skin issues, less headache, etc) I would need to oil pull over a longer period of time, therefor I have decided to continue to attempt the practice for a solid month and will report back—I know you’ll be waiting with baited breath.